﻿Let's see! First hot bath, relax the muscle, next BioFreeze (could be the greatest stuff ever.) By the way, if you put this stuff on after a hot bath it goes to the very core of the muscle. 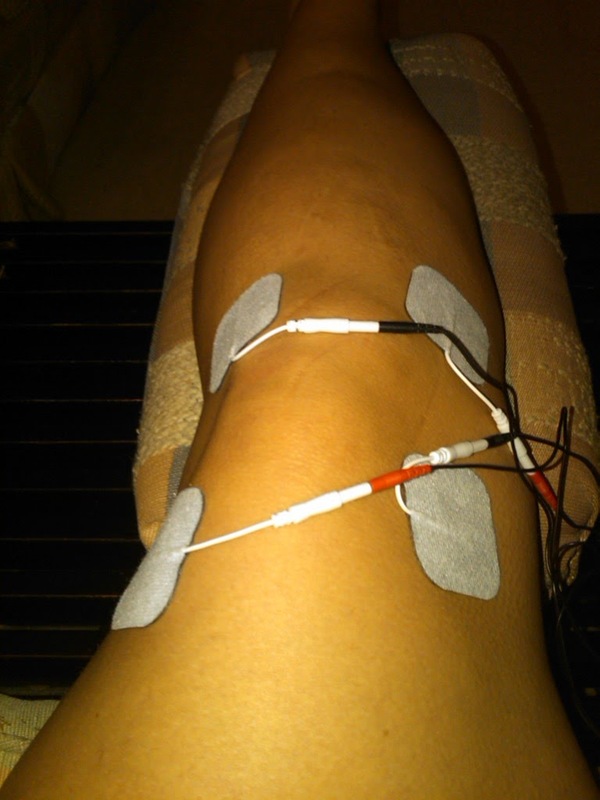 Then we move on to some localized pain treatment. 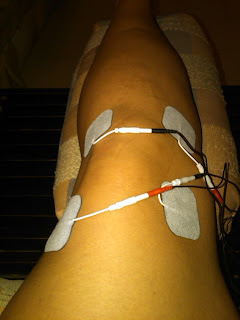 The knee is hurting, more than normal, I expect and understand the every day aches and pains but this is more than normal. Side note: When you put ice on top of BioFreeze it really burns. So we move on to ice. I use ice like other people use oxygen! Ice the knees and then the greatest little invention of all! Its called a TENS unit. I don't know why or how this little things works but it makes everything feel better. ﻿I know this little thing looks fancy and you get a good leg shot....what a night for you guys!!!! 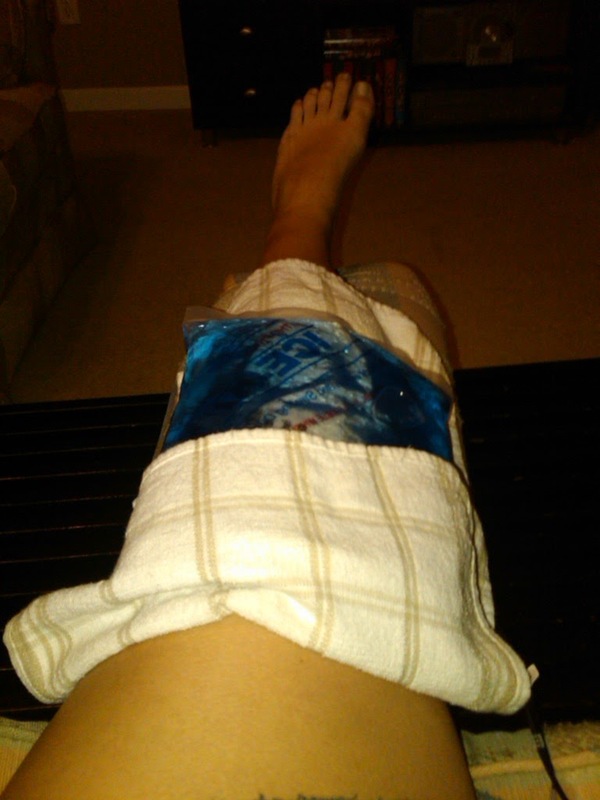 ﻿Hopefully all this hard work will make the soreness a little better tomorrow. I really don't care how bad it hurts tomorrow as long as it feels better on Saturday. Ill let you know if this home treatment works or if it just a waste of time and you just have to let soreness run it course. Oh, and I read that soreness is lactic acid build up and that drinking lots of water can help flush that lactic acid move from the muscles. I never thought I could drink more water in a day but I am really pounding it in tonight. Tomorrow is a small run just to keep moving until Saturday. Depending on how the muscles feel tomorrow I may do some light weights. I am really hoping to do weights at least 2 days a week if not 3, but if I am still this sore I will lay off the weights and just rest. Come back to me tomorrow...but don't be disappointed if there is not leg shot tomorrow!